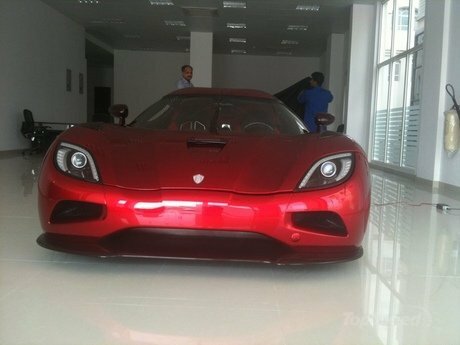 We’re not going to lie; when we picked the Koenigsegg Agera as our 2010 supercar of the year, we were pretty proud of ourselves. Not only did we buck the trend of crowning the mythical title of world’s best exotic to the Bugatti Veyron Super Sport, we actually gave it to a car that has 300-less horsepower than the current fastest machine on the planet. We figured that even if the Veyron Super Sport can wallop the Agera on the drag strip, the latter’s combination of appeal, speed, and cheaper price tag was more than what we could get from the Veyron Super Sport. 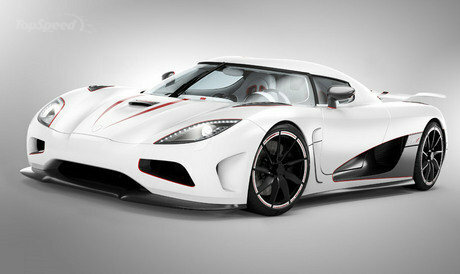 Turns out, we haven’t seen the very best and most powerful version of the Agera yet. That is, until this year’s Geneva Motor Show. Ladies and gentlemen, feast your eyes on the Veyron SS-slayer, the Koenigsegg Agera R.
Now, if by any chance you’ve seen this car before in our pages, it’s because we actually ran a story of the Agera R first generating buzz over the webs because the Oman Royal Family got their hands on one even before it made its debut in Geneva. But now that the 2011 Geneva Motor Show is only days away from opening, Koenigsegg is gearing up to give the Agera R the world debut it deserves. And when the world gets to see the Agera R, you can be pretty sure that it’s going to be locked and loaded to throw-down with the mighty Veyron SS. Koenigsegg has revealed the full specifications on the Agera R, and although we like what we see, we expected a little better. The supercar will sprint from 0 to 60 mph in 2.9 seconds and from 124 in 7.5 seconds. Top Speed has been reported at 260 mph! Hit the jump to see more specs on the Agera R.
Besides being visually arresting in standard Agera form, the R version turns it up a notch. The display model shown at Geneva is something of a cross between the Lotus that James Bond drove in the Swiss Alps and Speed Racer’s car. 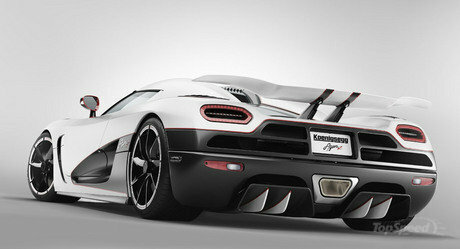 In order to increase the performance aspect of the Agera, Koenigsegg developed a dynamic rear wing. Many supercars use wings that lift automatically at high speeds, but the systems they use to do so are often cumbersome. The wing on the Agera R uses the pressure of the wind created at high speeds to force the wing downward and create wind resistance. The system is not only lighter than conventional hydraulics, but also smarter since it is able to compensate for headwind or tailwinds instantly. The design is thought out so well that even the pylons holding the wing up are useful. They are shaped in a way that helps to extract air from the engine bay towards the rear of the car. The Agera R may be the epitome of performance, but style and luxury are not lost either. Standard equipment includes a detachable and storable hardtop roof, power windows, satnav system, MP3/USB compatibility, climate control, tire pressure monitoring system, and even a complete car cover. One of the coolest tech pieces about the new Agera is that you have to access a special “Top Speed” mode in the infotainment system to unlock its true potential. I still think the separate top speed key in the Bugatti is cooler, but this is a close second. If the owner so chooses, a set of fitted luggage, special leather interior options, and a myriad of exterior colors are available. The Geneva car was fitted with a distinctive and distracting Ski box on the roof. It’s sort of an oxymoron to take your Agera R to the ski resort, but the car is even available with winter tires. 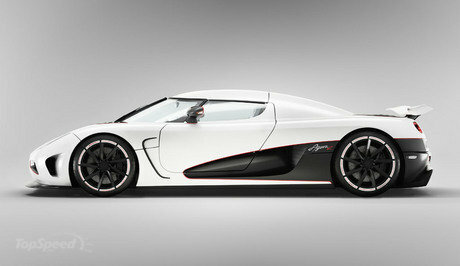 The Agera R will use an in-house developed 5.0-liter V8 with twin turbo’s. It can make 1,115hp at 6,900 rpm and scream all the way up to 7,250 rpm. Torque output is in the range of 885 lb-ft. of torque at 4,100rpm. The specs for the car really start to get exciting when you see how fast it can accelerate and to what end. It makes the sprint from 0-60 in a mind blowing 2.9 seconds. In the time a normal high-performance car has gone through the quarter-mile, the Koenigsegg has gone from 0-124mph in 12.7 seconds. One of the most surprising aspects of this car is that it is capable of running on multiple fuel types. E85 and E100 Bio-fuels provide the most horsepower for the car, even though the fuel system must deliver more of this gas to the engine than it does for regular petrol. For countries that do not offer the Bio-fuels, the Agera R is able to run on normal 95 octane fuels, but power output is cut by about 100hp and 100 lb-ft of torque. The chassis and suspension setup on the Agera R are equally as important as any other aspect and the owner of the company personally helped developed this new system. 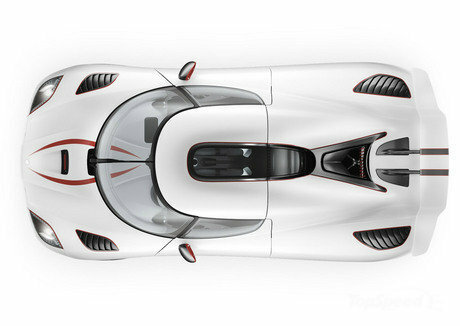 Koenigsegg calls it the Triplex rear suspension; this means that a shock absorber and spring are connected to each rear wheel. Each wheel is capable of having an effect on the other and the extra spring works in series with the normal suspension and dampers that allow the car to be raised or lowered as needed. Koenigsegg has developed such a formidable speed machine that even the wheels and tires had to be developed specifically for this application. Koenigsegg was able to design the turbine style wheels in house. Each one truly acts as an air-turbine helping to cool the brakes and increase down force for the entire car. The tires were developed by Michelin at the Ladoux test center in France. Because the car needed to be a Veyron killer, Michelin helped make sure the tire would stand up to the task and has created the highest speed rated tire in the world capable of reaching 261mph. No exact figures on the car have been released, but be sure this is as special as it gets. Your total bill could add to somewhere in the 1.6 million dollar range, making this car one of the most expensive in the world. I suppose if you’re in this market than you want something that screams exclusivity and the Agera R can deliver that. The Koenigsegg Agera R only has one car in sight: the Bugatti Veyron Super Sport. Ever since the Veyron Super Sport set the record for fastest production car on the planet after setting an average top speed of 267 mph, we have been waiting for a car that can rightfully be called the Veyron Super Sport’s "kryptonite". Well, folks, that car has finally arrived. The top-of-the-line Bugatti Veyron Super Sport shares the same 8.0-liter, 16-cylinder engine, but with larger turbos and bigger intercoolers to push power to 1,183bhp, a jump of 196bhp. Torque increases from 921lb ft to 1106lb ft. This all means that it can reach a reported 267mph and that is faster than an Agera R.
Considering that you will most likely never go as fast as these cars, let alone with another car next to you to race; it is sort of irrelevant at this speed. When you cross a football field in less than a second your mind is more focused on survival instead of beating the other super rich guy in the car next to you. Nonetheless, the Bugatti seems to have the Agera R beat on paper even in the 0-60mph category which it reaches in 2.5 seconds.